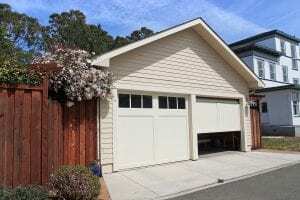 Hiring a professional garage door company is the safest way to handle the installation of a new door on the garage of your home in Garner, North Carolina. At 31-W Insulation, we are the company that area residents have trusted for expert home improvement services of all kinds since 1972. We even hold an A+ rating with the Better Business Bureau for our commitment to providing the best customer service and workmanship in all that we do. And you can trust that our installers will serve you with the high level of courtesy and attention to detail that we are known for, since they are all our own trusted employees rather than subcontractors. Also, you can enjoy the peace of mind that your new garage doors will be some of the safest in the industry. That’s because our doors come with a full suite of state-of-the-art safety features, including end hinges with concealed action, pinch protection sections, flush-mount center hinges, and more. To find out more about what makes us the premier garage door company in Garner, NC, and beyond, contact 31-W Insulation today.